Bermuda bicycle tour with sea kayaking, great for a long weekend getaway. Turquoise blue waters and deep blue skies, bright pastel houses topped with crisp white roofs, lush green forests and a rainbow of flowers. Ocean fresh seafood sizzling on the grill, tucked between thick slabs of fresh baked raisin bread, washed down with ice cold locally brewed craft beers. Fabled forts overlooking the vast ocean, narrow alleys leading through 400 year old cities, privateer hideouts from the 1800s. Bermuda is a cacophony of colors, flavors and history. Embrace the wonders of Bermuda on a weekend cycling & kayaking getaway with Pedalers. 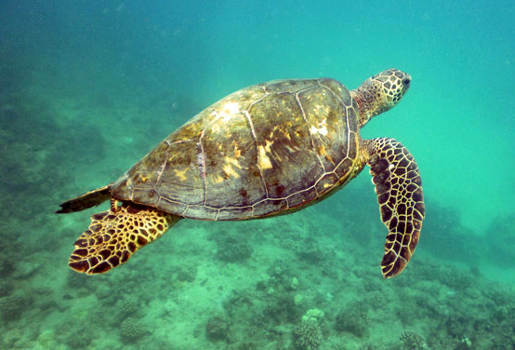 Embrace Bermuda begins with some idyllic sea kayaking in Ely's Bay, where sea turtle congregate to graze on sea grass and the world's smallest drawbridge still operates today. The bikes come out for the rest of the adventure, cycling Bermuda from tip to tail, exploring half of the island each day. There are numerous historic forts, quiet neighborhoods and dramatic overlooks to break up the pedaling with photo stops. And some of the most bike friendly drivers you will encounter anywhere in the world. Take a long weekend to get away from work and big city stress and Embrace Bermuda. Join Pedaler's founder, Tom Sheehan, on select dates in the fall or make new friends on one of our other scheduled trips. You can also pick your own date and invite your family and friends, private dates are available year round. Bermuda was once home to British Privateers, praying on French ships. Arrive in Bermuda ❖ Explore Elys Bay by sea kayak ❖ Taste Bermuda's renowned fish sandwiches. Your guides will meet you upon arrival at Bermuda's Airport. After checking into our hotel, we will head to Art Mels to pick up their globally renowned fish sandwiches. Enjoy a picnic waterside before heading out for sea kayaking through Ely's Bay, home to sea turtle and some of Bermuda's more notorious history. Today's rides sweeps around Hamilton Harbour, providing delightful photos ops before heading north to the historic Royal Navy Dockyard. Along the way we pick up a couple stretches of the historic Bermuda Railway Trail, which follows the route of the early 1900's railroad that went tip to tail in Bermuda. We will also visit one of the old fortresses and ride up to the lighthouse for a view on high of the island. The rides in Dockyard, with a visit to the local craft brewery and some free time to explore. We return to Hamilton by ferry. It is a leisurely morning, as we will depart Hamilton about mid-morning for our ride to the charming seaport town of St George's, Bermuda's original city (and one of the first three in the New World). Our route meanders through small neighborhoods first on the north shore, then through Tucket Town on the south, before reaching St George's itself. We enjoy a bit of a walking tour of the old town to get you oriented, then rendezvous later for a great end of the tour dinner with local Bermuda seafood specialties. 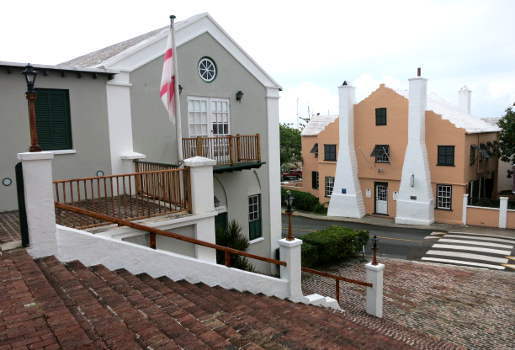 The tour winds down today, after breakfast explore the old streets and alleyways of St George's as time allows or head out to get those last minute souvenirs. We'll transfer you to the airport for your flights home. Here are some other great bucket list trips to check out. A stately Bermuda mansion and gardens overlooking Hamilton. Historic inn dating from the 1700's steeped in Bermuda's history. Any trip shown with a "Book This Date" button has space available and is open for booking. To start your reservation click the appropriate button for the departure you wish to join. All prices are quoted in US Dollars. Trips require only two guests to be guaranteed departures. Fill in the blanks and the tour details for Bike Across Bermuda will be on their way. Send tour info to your friends too.